Robins are the most familiar and beloved of all birds, found throughout North America and celebrated as one of the first signs of spring. But there's a lot about them that most people don’t know! In this visually stunning picture book that features comic-book panels combined with painterly illustrations, Eileen Christelow tells the story of two young robins’ first year, and reveals plenty of little-known facts that are sure to captivate young naturalists. 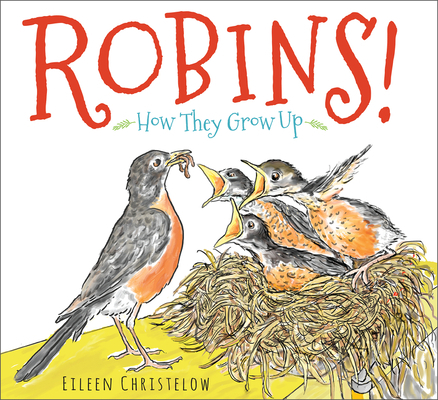 Narrated with humor and filled with kid-pleasing details, this fascinating account of how robins grow up includes an Author’s Note, Glossary, More About Robins, and Sources.